Harness the healing power of Australian Bush Flower Essences. 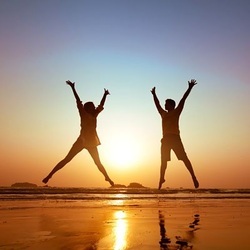 Your individual remedy determined using kinesiology. Flower essences are tinctures made from the flowering part of plants. The flowers are infused in spring water and stored in an alcohol (usually brandy) base. One of the most well-known flower essences is ‘Rescue Remedy.’ Rescue Remedy is part of the Bach Flower Remedies range and is widely available from pharmacies and health food shops. If you’ve ever used Rescue Remedy and felt its wonderfully calming effect, you’ve experienced the healing potential of flower essences. I use Australian Bush Flower Essences in these sessions. Each of the 69 Australian Bush Flower essences has its own unique healing properties. These essences were developed by Ian White, a Naturopath and 5th generation Australian herbalist. 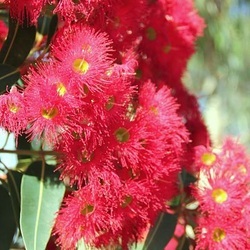 For more information, visit the Australian Bush Flower essences website [click here]. I use kinesiology ‘muscle monitoring’ (see kinesiology page) to identify which flower essence(s) are appropriate for you. We discuss each of the flower essences’ healing properties and I help you understand how they relate to your current situation. Flowers essences work on the subtle, energy body to shift stagnation and negative emotional states. Their use can help you feel brighter, calmer and balanced. What happens in a flower essence consultation? All flower essence consultations are 30 minutes. 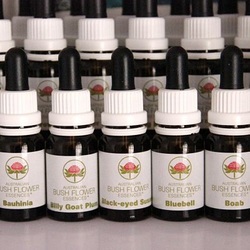 Your unique Australian Bush Flower Essence blend is prepared by Nadine (session price includes a 25mL bottle of flower essence blend). I’ll give you full directions on how to take the flower essence and for how long. In most cases, it’s taken orally, twice a day over a period of weeks. After the recommended period of time, you should review the effects of the essence. It can be useful take a diary during the course so you can see how things have changed. Afterwards, drink plenty of water and try to avoid anything physically strenuous or emotionally challenging. I recommend a calm state and environment so you can integrate the session. You may wish to go on a gentle walk, spend some time in quiet reflection or journal your thoughts. Most people leave these sessions feeling calm and centred. In the weeks following the session whilst you are taking the flower essence mix, you may experience some negative emotions. This is a normal part of healing process and in most cases resolves quickly. You should continue to take the remedy for the recommended period of time. If you’re at all concerned, please get in touch. Most people feel the benefit of the flower essence a week or two after their session (the period of time for which the remedy is taken). There is no minimum number of sessions recommended and I’ve found that making appointments ‘as required’ works well. After you finish taking your flower essence remedy, please get in touch so we can review your wellness plan. Already know what Australian Bush Flower essence you want? No problem, I also sell the full range of Australian Bush Flower essences! Phone, text or email (details at the bottom of this page) your order for delivery by post or collection at Thornbury. 25mL bottle ~ $15 (+ $5 postage and handling for orders within Australia, if applicable).